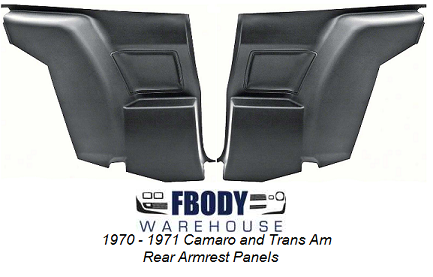 1970-1971 Camaro or Trans Am Deluxe Rear Armrest Panel. 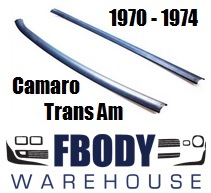 These are the deluxe style and are year for the 1970-1971 style. Available in black only and each side sold separately or as a pair. USA & CANADA ONLY ON THIS PRODUCT, USE DROP DOWN MENU TO SELECT SHIPPING LOCATION. This is a left hand (DS) 1970-1972 Camaro or Trans Am Deluxe Rear Armrest Panel. These are the deluxe style and are year for the 1970-1972 style. Available in black only and each side sold separately.